Instant loading - Load PDF files with thousands of pages instantly. Less runtime memory - On-demand loading and virtualization hold only the minimum required pages at runtime to reduce memory consumption. Virtualized pages - Render pages on demand to help reduce initial load time when working with large documents. Highlight text - Highlight important text in PDF files. You can customize the color of the highlight or remove the highlight. Underline text - Underline notable text in PDF files. You can customize the color of the underline or remove the underline. Strikethrough - Strikethrough unimportant text in PDF files. You can customize the color of the strikethrough or remove the strikethrough. Freehand draw (ink annotation) - Draw freehand on the pages of PDF files. You can customize the color of the freehand drawing or remove the freehand drawing. Line - Include lines in PDF files. You can move, resize, remove, or edit the color of the line. 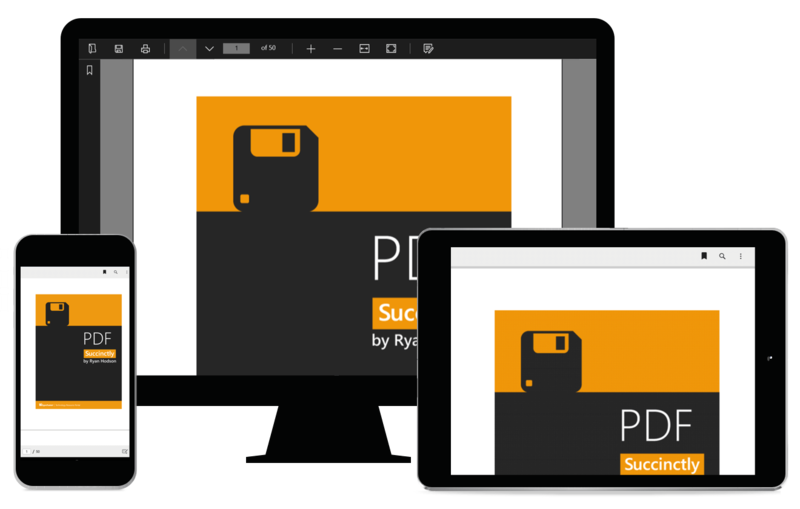 Rectangle - Include rectangles in PDF files. You can move, resize, remove, or edit the color of the rectangle. Ellipse - Include ellipses and circles in PDF files. You can move, resize, remove, or edit the color of the ellipse. Bookmark navigation - Bookmarks saved in PDF files are loaded and made ready for easy navigation. This feature helps in navigation within the PDF file of the topics bookmarked already. Hyperlink navigation - Hyperlink navigation feature enables navigation to URLs (website links) in a PDF file. Table of contents navigation - Table of contents navigation allows users to navigate to different parts of a PDF file that are listed in the table of contents section.